The last Ice Age played a crucial role in defining the natural landforms of the state of Ohio. Much of the state is covered with glaciated plains. The Allegheny plateau is of two kinds, glaciated and unglaciated. 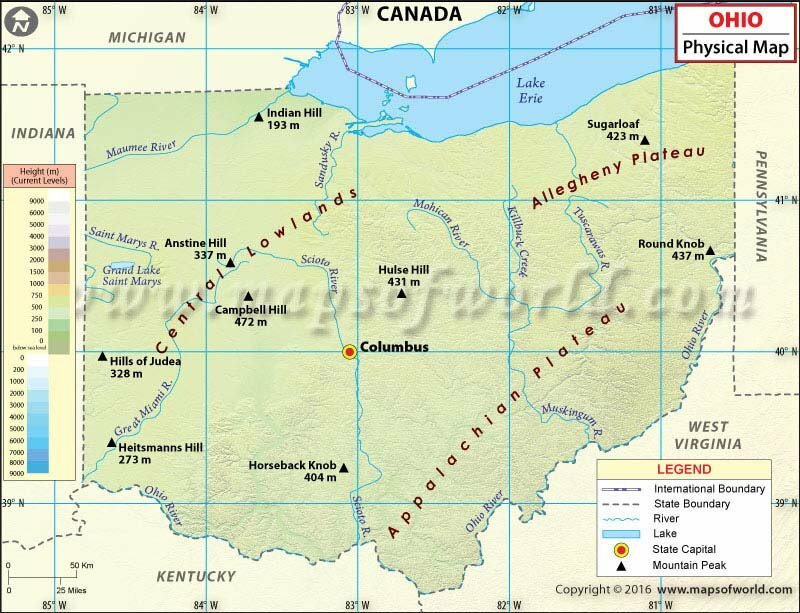 Most of Ohio has low relief; however, the unglaciated Allegheny Plateau is made of rugged hills and forests. Located in northwest Ohio, Huron-Erie Lake Plains or the Black Swamp is composed of extensive swamps and marshes, and patches of some higher, drier ground. The Appalachian Plateau is a network of rocky hollows and hills covering all directions. The western foothills of the Appalachians are home to one of the world's most bio-diverse temperate forests. 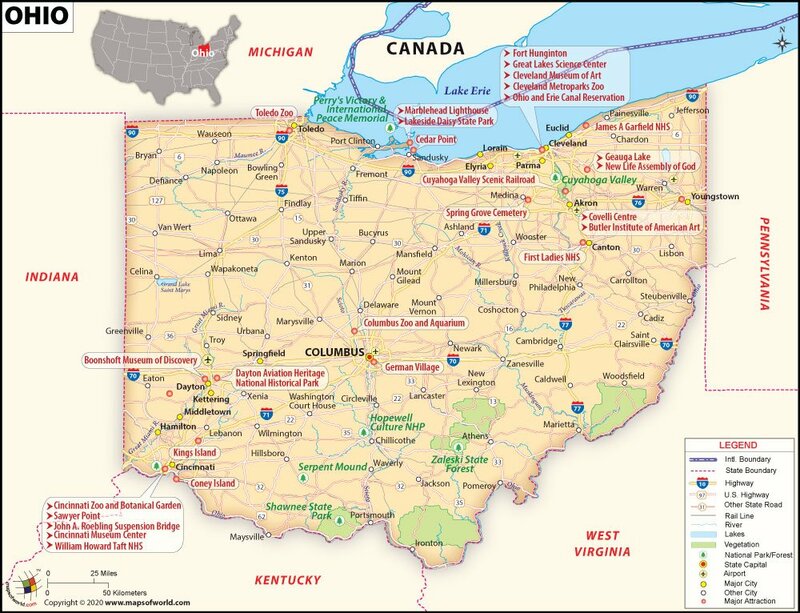 Central lowland region features the Campbell Hill, which is the highest point in Ohio at 1,549 feet (472 meters). Tills Plains include the southwestern and central-west portion of the state. The Bluegrass region reaches into southwestern Ohio from Kentucky. Lake Erie of the five Great Lakes is partially located within Ohio. Grand Lake St. Marys, Mosquito Creek Lake, and Indian Lake are some of the artificial inland lakes. Significant rivers in Ohio include the Cuyahoga River, Great Miami River, Maumee River, and Muskingum River.